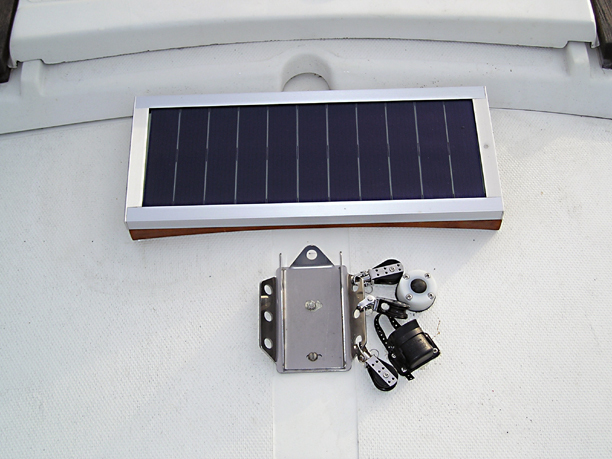 For my planned month's cruise up the coast of Maine in August, I decided a solar panel was needed to keep the battery charged between occasional transient slip rentals when I can hook up to shore power (and grab a shower and a real meal). 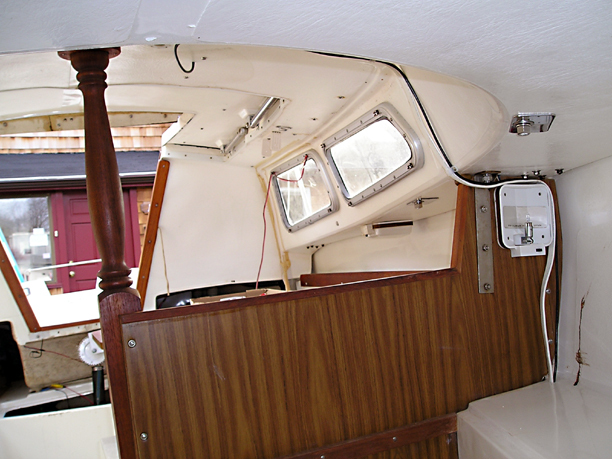 Without a stern pulpit yet, finding a place to mount it was a problem that limited the size of the panel. 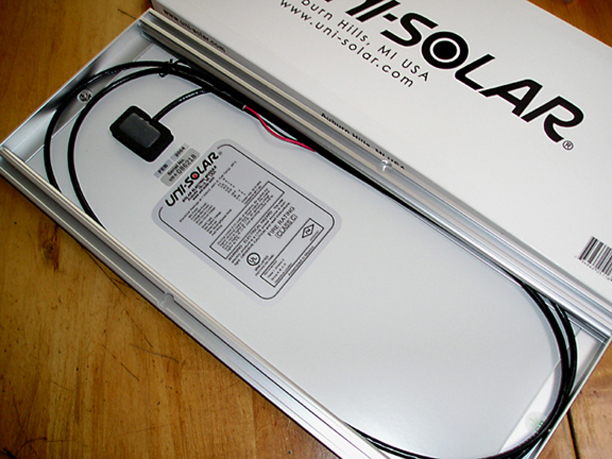 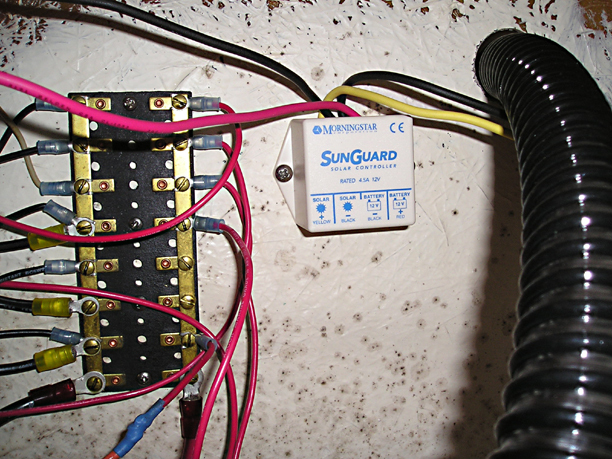 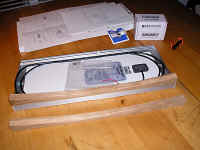 I ended up with a Uni-Solar US-5 (watt) that'll provide .3 Amps -- not much but better than nothing and it's supposed to keep the battery up (we'll see). 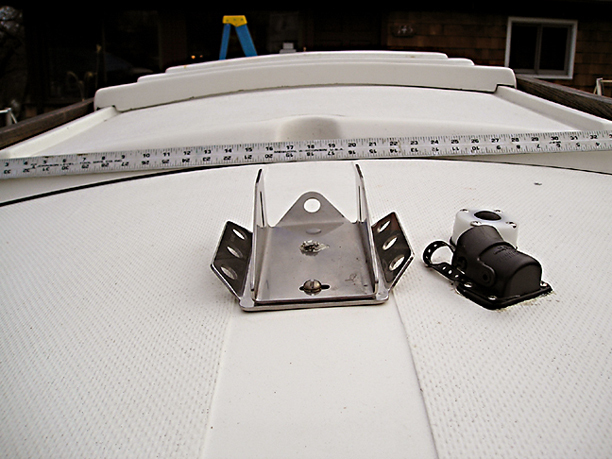 I'll mount it between the pop-top and the mast step. 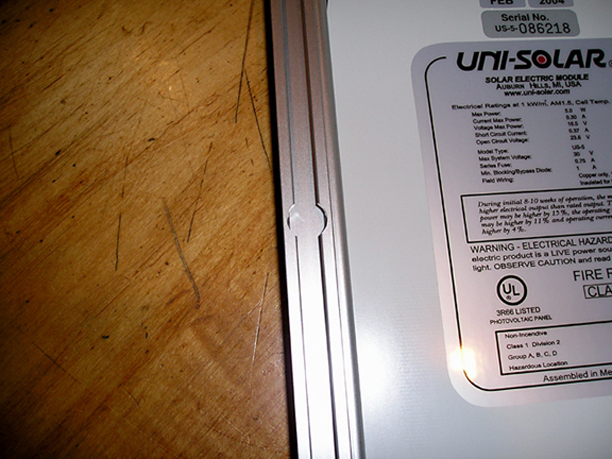 When it arrived, I found the apparent way to mount it is by inserting screws through slots in the channels, one slot top and bottom. 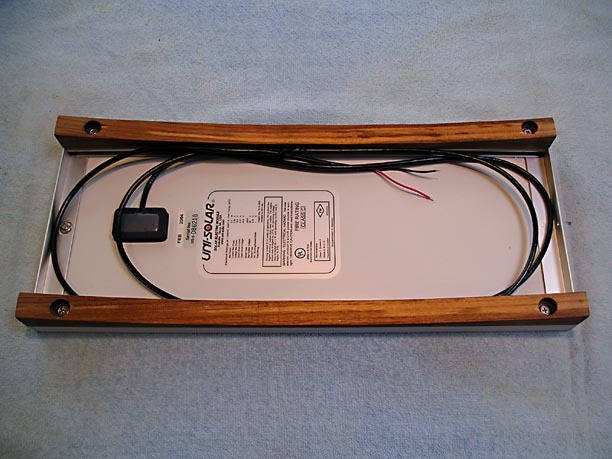 I'll mount it on a teak frame attached to the panel, then run four screws up to the frame through the deck from inside the cabin overhead. 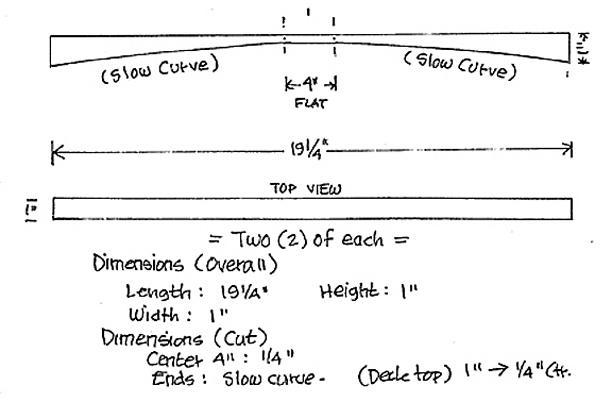 I again measured the space I had to work with, and took as good an image of the deck curve as possible. 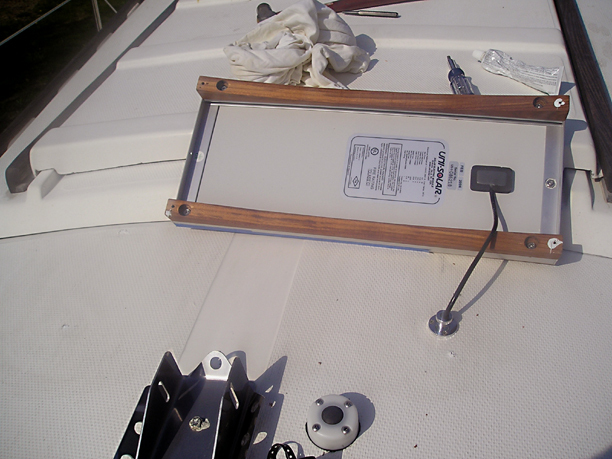 After bringing the battery aboard, I began the installation by mounting the controller beneath the aft dinette seat on the aft bulkhead going to the port cockpit bilge, then did the wiring up to where the panel's cable would enter the overhead.